As part of the Critical Dialogue series, which runs once a month at Cornerstone Institute, we celebrated Women’s Month with a panel discussion and the prize-giving for the Writing Challenge to Men on 23 August. The challenge for both the dialogue and the competition was to think about and engage with gender issues in ways that differed from the norm, and the event was aptly called Breaking the Silence – the voices of men in Women’s Month. Beulah Thumbadoo, reading and adult literacy activist, was inspired to conceptualise and organise the Writing Challenge to Men to commemorate South Africa’s famous Women’s March of the mid 1950s. For the competition, men were invited to “write to the women in your life in a way that might help all of us to understand each other better. You might need to dig deep and go further than you manage to through the spoken word…” (Facebook, Men’s Writing Challenge, Aug ’16). 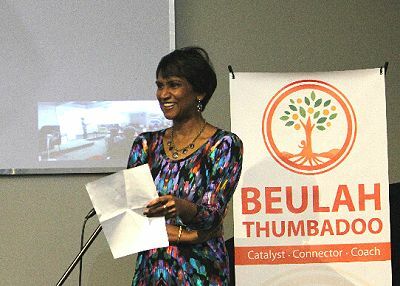 An inaugural Critical Dialogue for the competition was held at Cornerstone in April, where Beulah discovered a key secret about men opening up on the topic of women. “Men might speak, and they might write about their issues around women if they had a safe space, a dialogue-ing space,” she observed. This became her motivation to ‘connect people’ and propel the project forward, with the result that authentic, movingly honest essays were submitted and worthy winners were selected. It was also fitting to conclude the competition with another in-depth Critical Dialogue at Cornerstone, which proved the perfect platform to unravel and elaborate on the rich content and meaning of the issues raised in the men’s essays. 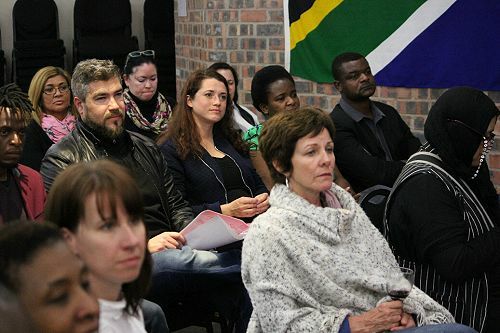 Shortlisted competition entrants attended the event, some via Skype from Durban and Johannesburg. 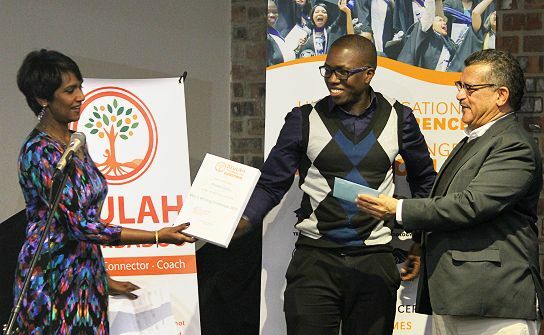 The audience broke into loud applause when Cornerstone Business Studies lecturer, Thulane Dube, was awarded First Runner Up for his emotionally eloquent essay ‘Words left unspoken’. 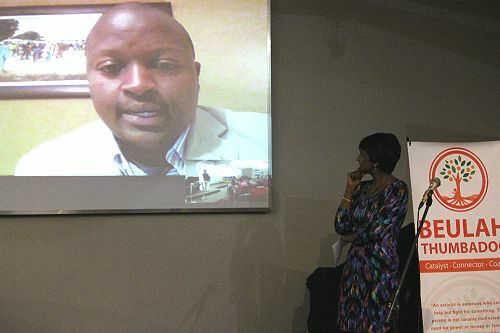 Kinsley Khobotlo was the overall winner with his moving and topical essay,‘An End to this Vicious Cycle of Violence’. Nancy Richards, radio journalist and women’s activist, opened the panel discussion with the observation that the essays, which competition judge Ekow Duker called “apologies, and men saying: ‘I’m sorry’”, slightly opened a window. “If the window had to be fully opened, there would be an overwhelming flood of emotion, showing men’s serious feelings to which they don’t give voice or a platform,” she commented. Roeshdien Jaz, Life Coach, singer and music activist, stressed that more dialogues between people should “cut through the peripheral stuff”, and see beyond the obvious and external. Actor and women’s activist Riaan Visman related how he discerned the dysfunctional behaviour of his father and brothers at an early age, with art allowing him to express himself differently. In his work, Laurie Gaum, Gender Equity and Reconciliation facilitator, teaches men the ability to “visit themselves”i.e. to reflect on their behaviour, lives and emotions. He emphasised the need for men to speak about personal experience, daring to be vulnerable and honest rather than opinionated. Dr Sharon Johnson, registered counsellor and Cornerstone lecturer, juxtaposed men’s silence regarding female abuse to the transformative silence of meditation in her work with pubescent boys in disadvantaged communities. When solutions came under scrutiny, the answers were not short, simplistic or easy, but the general consensus was that a safe space was needed for both genders to communicate authentically and grow their level of personal consciousness. Learning to listen and respect in order to learn about one another is also essential. “The gender debate is bigger than all debates,” concluded Nancy Richards. 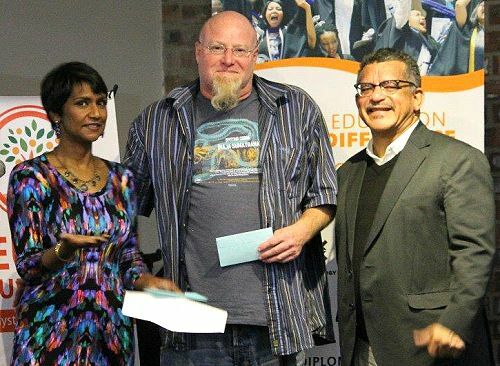 Judge’s mention: Anthero Bowie: Woman, you are woman (Cape Town); Gary Montague-Fryer: She (Cape Town); Gugu Mgema: 60th Anniversary Struggle (Johannesburg). The essays of the winners will be available for download soon!